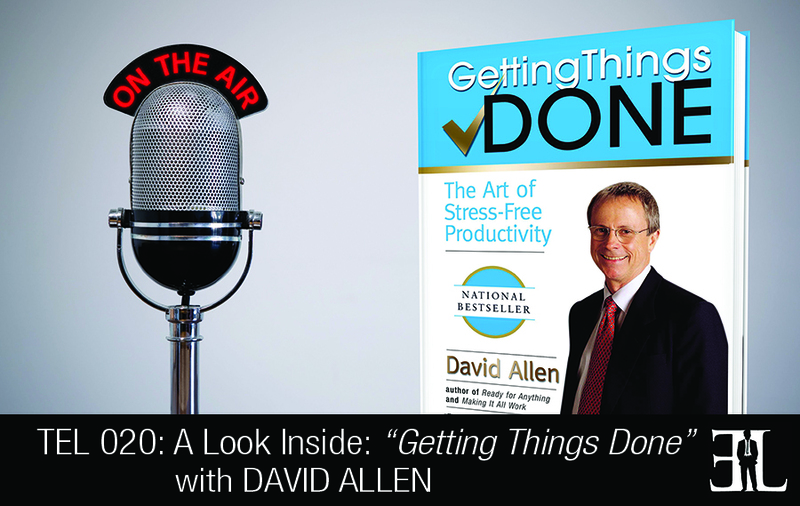 In this episode, best-selling author, David Allen provides a deep dive into his book Getting Things Done. In his book Allen gives you a step-by-step guide to create a model and methodology to approaching and addressing the world we live in today. Through his 5 stages you will learn how to set an idea or project under control ensuring that your productivity is not costing you dearly. This book is a must have for all entrepreneurs who are in need of some guidance for crafting a well-organized work ethic. My book is relatively timeless, meaning the principals are as old as dirt and they tend to be true no matter who uses them. This methodology starts with where you are, not with where you should be. I start out by talking about why the old methods really don’t work very well given the kind of world that we are in these days. I spend some time talking about why we need a model or methodology to approach and address the kind of world that we are in today. There is a chapter in the beginning where I talk about the five stages that you need to engage in in order to get something under control. It turns out that there are five stages we all go through in order to be able to really get something under control and to be able to make it work. The first stage is to be able to collect the things that have your attention. What is it that’s on your mind? The second stage is how to process the things that you’re captured by. Stage three is how to organize the results of that thinking. Stage four is how to step back and review and how to engage with these lists that you have collected. Stage five is how to make the appropriate choice out of all the options of calls you have to make, errands you have to run, and things you need to handle. Once you have a project or a situation I introduce people to what you call a nature planning model. Our brains naturally plan and they do it automatically but the natural model is not the normal model. So the first part of the book is a way for people to get a quick grasp of what this methodology is if you were to apply that. As simple as those things sound, we are not born doing any of that. In part two I tell you if you were to buy in to this idea, how would you go implement it, what would this really look like? I walk people through the coaching process that I developed over 20-30 years and describe what that process is. The last part of the book is oh by the way because a lot of people want the model but I couldn’t resist saying there is a lot more to this that meets the eye. There are a lot of incredible and powerful things that start to happen once people start to implement these fairly simple behaviors that goes way beyond what you might think. I wrote a book called Getting Things Done after 20-25 years of doing the work that the book is about in my own consulting practice and in the corporate training/coaching world. I have a small company still doing coaching and training around the world and that’s my professional of who I am and what I am doing. It took me 25 years to figure out what I figured out. I found things that really worked and I also wanted to create a model that worked for everybody so that it didn’t matter either what level you were at or what kind of industry you were in. Overtime I discovered that it didn’t seem like anybody came up with the same model I did and the model turned out to be bulletproof.